BANGKOK (17 Nov 2018) – Defending champions Thailand recovered from a goal down to defeat Indonesia 4-2 and claim their second successive AFF Suzuki Cup victory at the Rajamangala Stadium tonight. But what would have left all the other teams concerned is the manner in which the Thais outplayed their opponents. The Thais have now smashed 11 goals in just two matches, a testament of their awesome firepower. 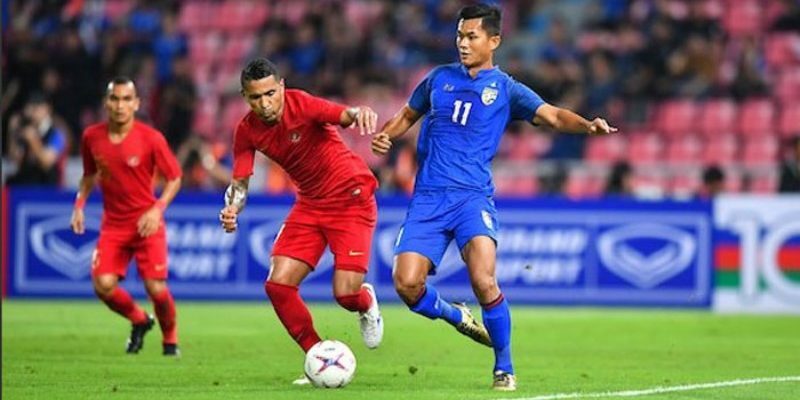 After conceding a stunning long-range goal from Zulfiandi in the 29th minute, Thailand, 7-0 winners against Timor Leste in their opening game, charged back and blasted two goals in each half to ensure they edged closer to a place in the semis. Korrakot Wiriya-Udomsiri scored what could well be the goal of the competition when his stunning corner kick curled into the far corner in the 38th minute. Pansa Hemviboon gave Thailand the lead in the 45th minute with Adisak Kraison and Pokklaw A-Nan settling the score in the 65th and 74th minutes. Worth taking note is that Adisak has now scored seven goals. Thailand were on the hunt when Indonesia surprised their hosts in the 29th minute. Latching on to a corner kick, Zulfiandi, from the top of the box, unleashed a cracker that blasted into the top corner of the net, just beyond the reach of goalkeeper Siwarak Tedsungnoen. The Thais were stunned but fought back. The elements were all on his side when Korrakot stepped up to take a corner kick. His left-footed kick sailed over the outstretched Awan, dipped wickedly before hitting the far post and turn into goal. The Indonesians could not believe it and before they were able to recover, Pansa Hembivoon hammered home a second in added time. Indonesia were chasing the game and while they tried to force their way up, the Thais had plans of their own. Not ready to settle with the result, the Thais stepped up the heat and picked up their third ten minutes into the second half. Midfielder Thitiphan Puangjan found Adisak on the right, quickly slipped it to the striker who drew right before slamming home his seventh goal of the tournament. Nine minutes later, Indonesia were caught out when they were on the attack. As he intercepted a pass, midfielder Sanrawat Dechmitr spotted Pokklaw racing forward. Sanrawat neatly sent the ball up for Pokklaw to chip over an out-of-position Indonesian custodian. For his efforts throughout the match, Sanrawat was later named the Man-of-the-Match.